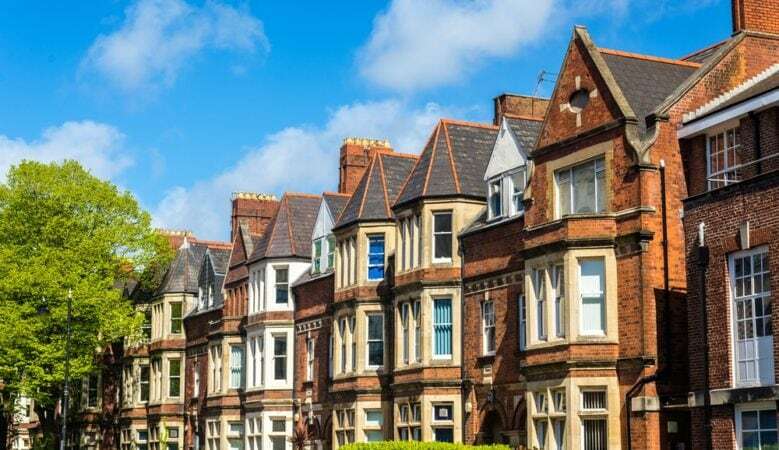 In the UK first time buyers have a rare opportunity to take advantage of cheap mortgage rates at a time when property price growth has slowed, according to new research. This is because there are 46% more high Loan to Value (LTV) mortgages available now than there were a year ago, the study from financial information business Defaqto says. It also shows that while interest rates are increasing overall, mortgages for first time buyers have just got cheaper. High LTV mortgages, where a borrower can buy a house with a small deposit such as 5% of the value and borrow the remaining 95%, are typically used by first time buyers to get on the housing ladder. While mortgage interest rates have been increasing overall, making mortgages more expensive, Defaqto has found that interest rates have been falling for 95% LTV mortgages. A year ago, the average interest rate on a two year fixed rate mortgage was 3.98% and today it is 3.46%. The study also shows that effective rates, that is the cost of borrowing including any product fees, for first time buyers has been dropping, for two, three and five year fixed rate mortgages. The best buy two year fixed rate available today is 2.86% from Barclays. However, a year ago the equivalent best buy was 3.49% from Hanley Economic Building Society. This 0.63% difference means a potential saving of £68 per month, based on a £200,000 mortgage over 30 years, compared with a year ago. Not only are mortgages getting cheaper but there is also more choice in this part of the market, the research found. There are now 290 95% LTV fixed rate mortgages available which is almost a 50% increase on a year ago when there were 199. ‘Buying a home is a huge investment and high prices have kept it out of the reach of many for years. It looks like the cost of buying a home has just got a bit easier for first time buyers as prices have finally stopped rising and mortgages are cheap,’ said Brian Brown, head of insight at Defaqto. ‘For those looking to get a mortgage, it is important to do your sums and check exactly what you can afford to borrow. While interest rates are low, an increase of just 1% can add hundreds of pounds to a monthly repayment and thousands to the overall cost of a home,’ he pointed out. ‘It’s important to factor in what an increase could mean for your mortgage and whether you can afford it. If you need advice, talk to a qualified mortgage adviser who can recommend the best product for your needs,’ he added.